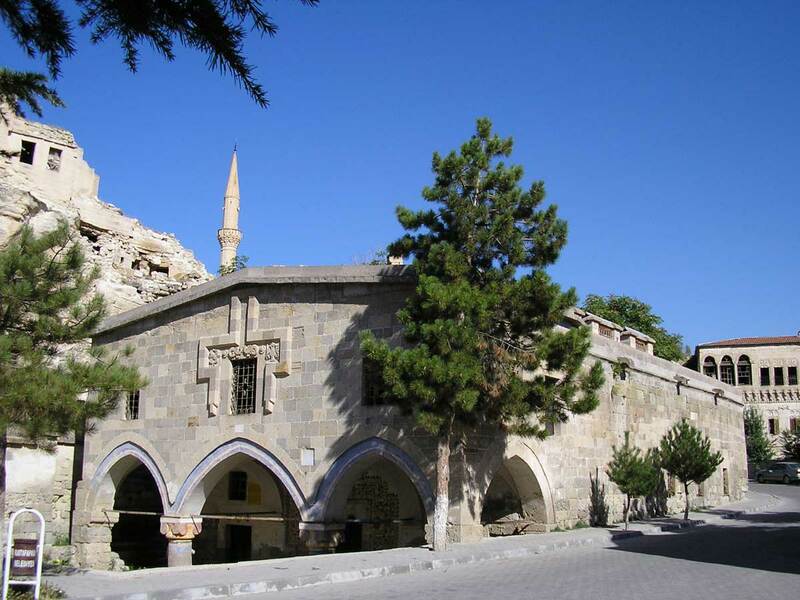 Mustafapaşa is a quiet village a little off the beaten track but full of wonderful cave churches, century-old wall paintings and carved facades all easily accessible on foot. You will find that a few days here is not enough to see everything! 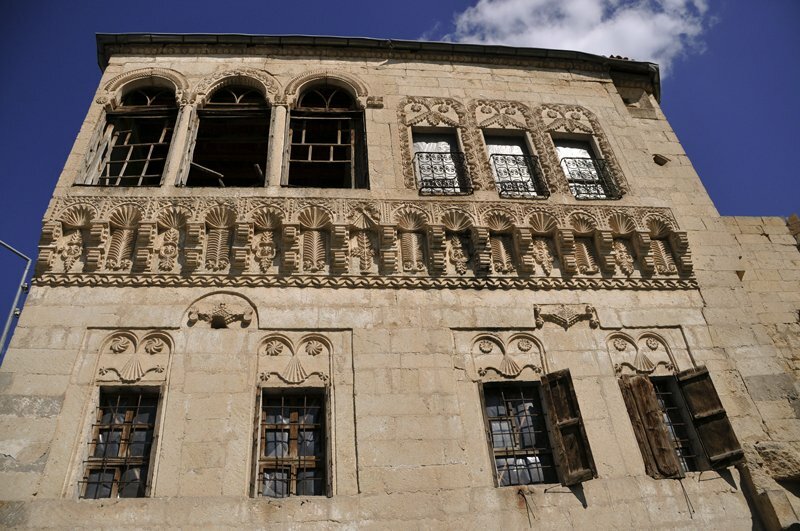 But it is a great place to relax and adopt the easy tranquil flow of typical traditional Turkish life far from the madding crowd, but only 10 minutes from any of the major historical and tourist sites if you wish. 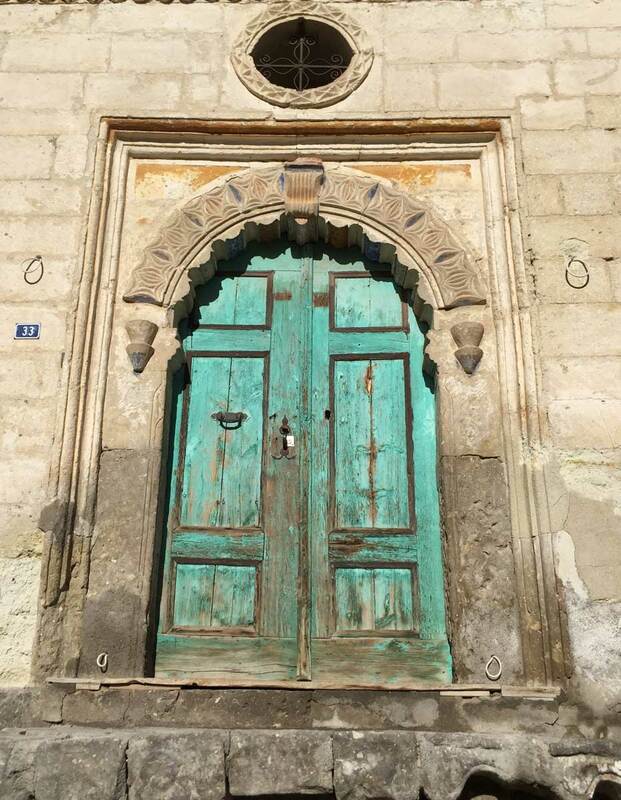 In Mustafapaşa you can discover the beautifully carved facades and old doors as well as the typical central Anatolian village life which carries on unchanged as it has done for centuries. If you want to discover the authentic way of Cappadocian life untouched by mass tourism, Mustafapaşa is the place for you. 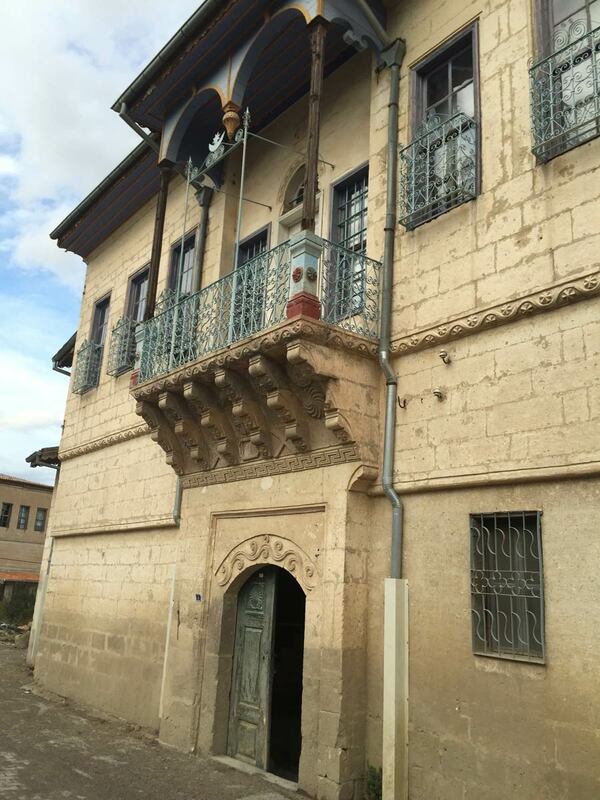 Like many towns in Cappadocia, central Turkey, Mustafapaşa had a largely Greek population in Ottoman times. 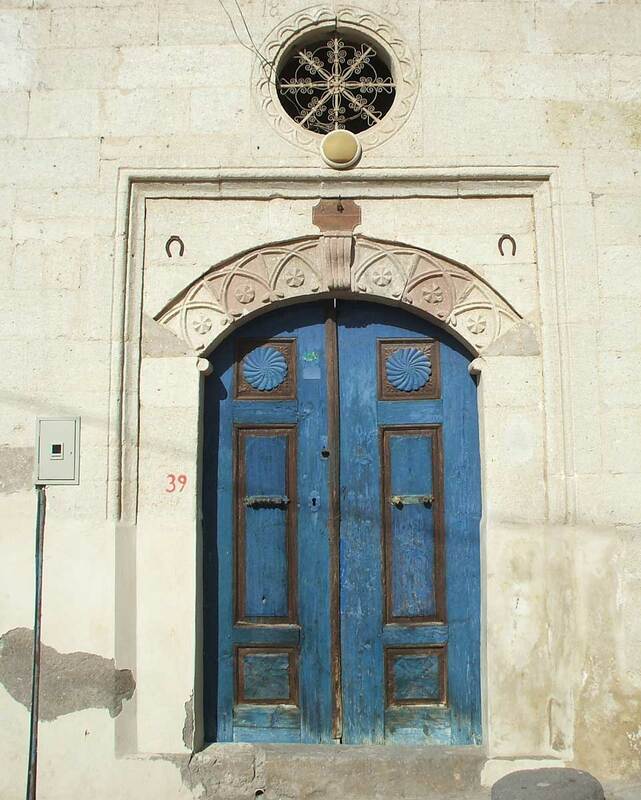 Turks and Greeks lived side by side, and the sound of church bells mingled with the call to prayer from the mosque. Today it is a thriving town with a university but it has retained a real-life Turkish atmosphere. Called Sinasos by its Ottoman Greek residents, it is still called that today by many local people. 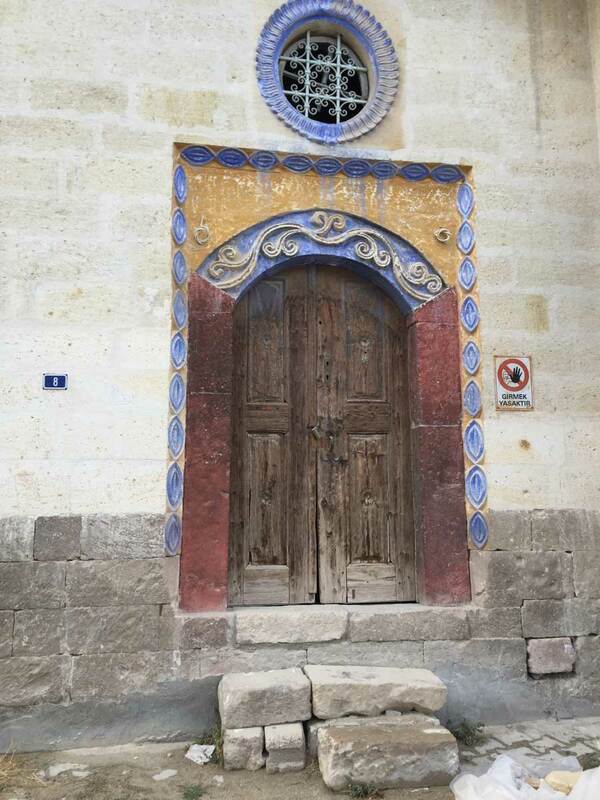 The typical blue colour that you can see painted on door and facades is known as "Sinasos blue". The road to Mustafapaşa winds through a green valley watered by many tiny streams and is lined by rustling poplars. Seated at tables on the pavement outside the cafes around the square, elderly men sip their tea as they play backgammon or watch the visitors to the town with curiosity and smile in greeting. As you ramble through the hills and the luscious green valleys surrounding Mustafapaşa, you can discover all kinds of rock-hewn churches, chapels and Byzantine monasteries. 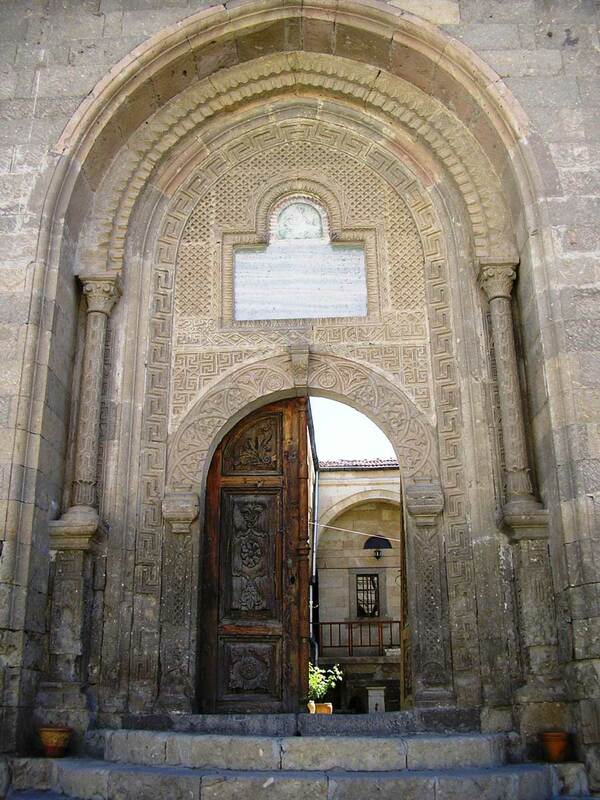 In the beautiful Gomeda valley you can clamber up to see the churches churches of St. Steven and St. Basil, and 2 kilometres away is the Church of St. Nicholas. Another church of St. Basil in a nearby valley is a three story rock church whose interior is decorated with frescos depicting scenes from the Bible. At the hotel Ercan can help you organise an itinerary which includes just what you want to see or do. 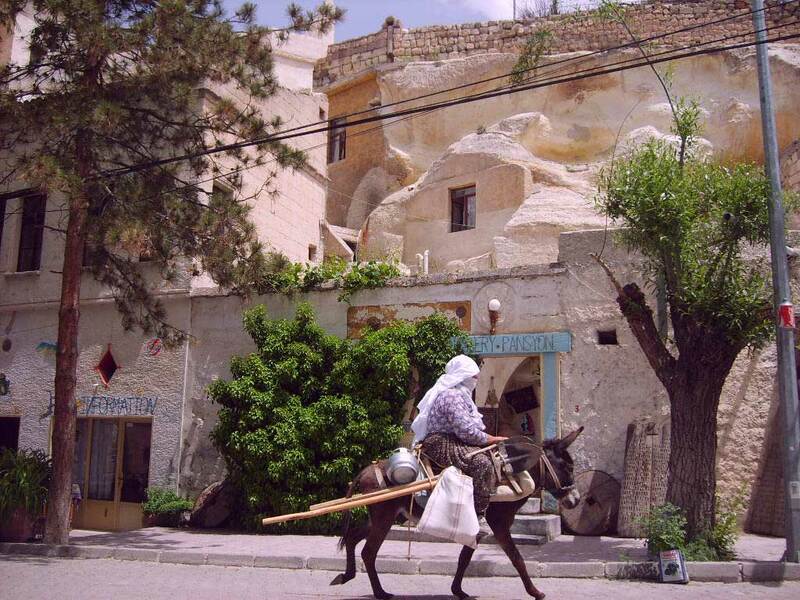 A small, welcoming family-run cave hotel, set in the heart of Cappadocia in the village of Mustafapaşa, only 5 minutes from Urgup. 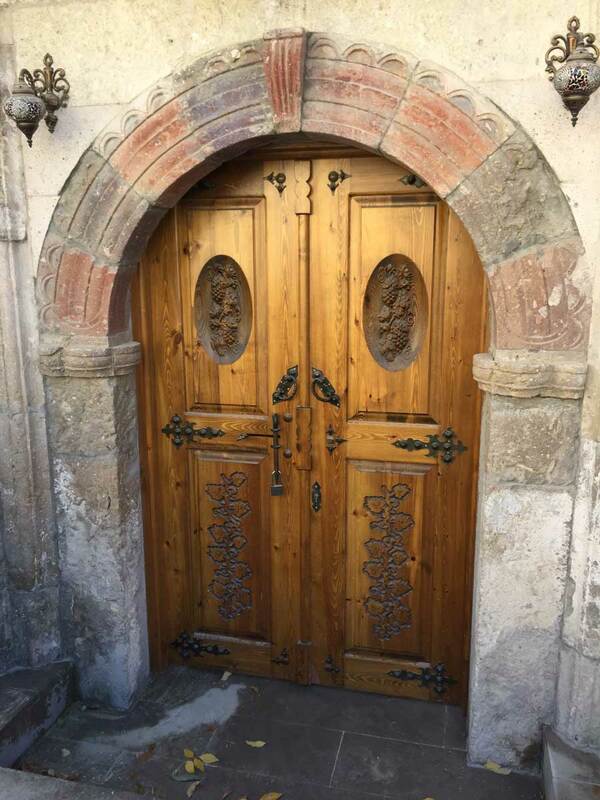 Centrally located near the Soganli and Ihlara valleys, the Monastery Cave Hotel provides an ideal base for tours and excursions, or for discovering the hiking trails and magical landscapes of South Cappadocia. Once a monastery, used by monks and priests up until the 19th Century, now restored and converted to a comfortable hotel, Monastery Cave Hotel's rooms all have ensuite bathrooms, central heating and free Wi-fi. Welcome to the Monastery Cave Hotel!